A migraine headache is a form of vascular headache-they are caused by vasodilatation of blood vessels and the release of chemicals from nerve fibres that coil around the large arteries of the brain. This enlargement stretches the nerves and causes them to release other chemicals which cause inflammation and pain. A migraine activates the sympathetic nervous system in the body which controls primitive responses to stress and pain. this activation causes many of the symptoms associated with migraine attacks nausea and vomiting. 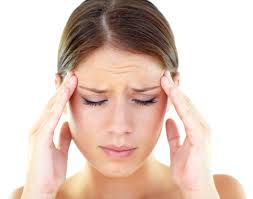 A migraine headache is typically pulsating in nature. Approximately a third of people who suffer from migraines get a visual aura which is an unusual visual ,olfactory or other sensory experiences that are a sign that the migraine will soon happen. These episodes may last for 20 minutes to a couple of hours. After the event migraine sufferers feel tired depressed or hungover and may experience cognitive impairment and trouble concentrating. We would recommend a thorough vision examination to investigate first episode migraines including evaluation of neurological visual fields.